Inspired by the ever intriguing Love Entwined, this is an entirely new design hopelessly devoted to re-imagining the original in an updated but still breathlessly beautiful design. 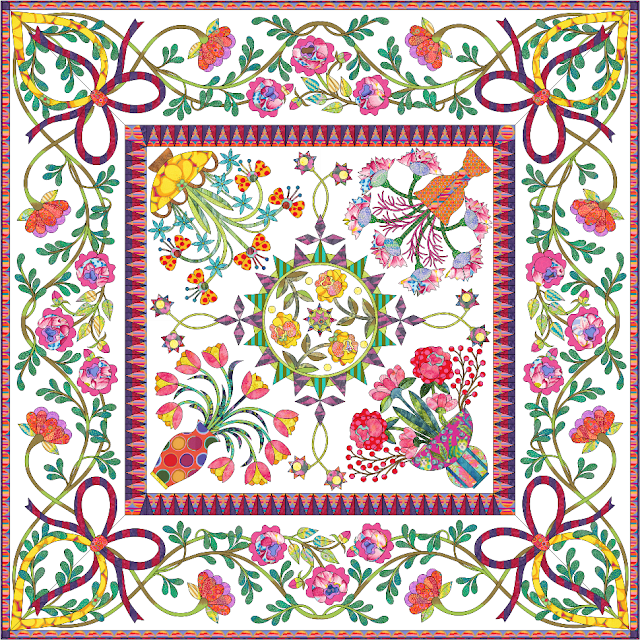 This is quilt for applique enthusiasts and lovers of fine detail and heirloom quilts. Due to popular demand, I am providing Love Always in 2 sizes, a large and a small. Make it 84 x 84 inch quilt, or 56 x 56 inch quilt. The choice is all yours. The complete digital pattern includes both sizes, you don't have to decide right away.